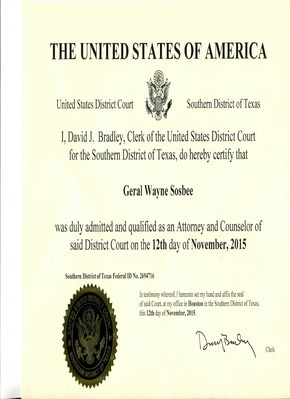 Shortly after I arrived in Brownsville, Texas, from LA in 2002, the Federal District Court, Southern District of Texas, notified me subliminally on line that I am under Court supervision. I then suspected that the fbi also corrupted federal judges or magistrates in El Paso, Dallas, and LA. Today, I received an invitation to submit comments on the reappointment of a federal Magistrate Judge, and I submitted my suggestion that all such appointments should be more carefully scrutinized (than ever) because the fbi often seeks to subvert law by enlisting in secret the cooperation of federal judges in the fbi's politically motivated and unlawful vendettas. Below is the message that I send today to the Court in efforts to ask the judiciary to clean up the corruption of some courts by the fbi at will. I make no allegations against any judge, and I offer the comments in good faith and in the spirit consistent with an Amicus Curiae. I invite the federal bar to more carefully screen the re-appointments of federal Magistrate Judges to insure that any unethical, prejudicial, or unlawful activities between said judicial officers and the FBI be discouraged. In the above referenced matter I request that Judge Morgan be asked about any ex parte or secret meetings between him and the fbi concerning Attorney GERAL WAYNE SOSBEE, Texas State Bar number 18855625. The basis for this request is that I am the object of an intense decades long political vendetta (under the guise of civil law) by the fbi concerning my whistle-blowing activities. Other federal magistrate judges in Dallas, Los Angeles, El Paso, et al., should also be similarly queried about *FBI’s apparent subversion of law with the secret imprimatur of Magistrate Judges, or Judges. I have no other avenue to investigate how the fbi is able to engage in unending crimes against me (for almost 30 years), except by instant comment to the re-appointment of incumbent judges such as Judge Morgan. Today the blanket surveillance and human experimentation program spearheaded by the FBI continues against me.